When we get stuck, we can’t see beyond ourselves. When we can’t see beyond ourselves, we get stuck. Perspective — or lack of a different perspective — is what keeps us in that stuck space. The good news is a shift in perspective is always available to you. In fact, there are several shifts you can make, at will, at any time. Use these shifts to get unstuck. A new perspective gives you a new view. See the forest, not just the tree in front of you. Just beyond that is your UnStuck. 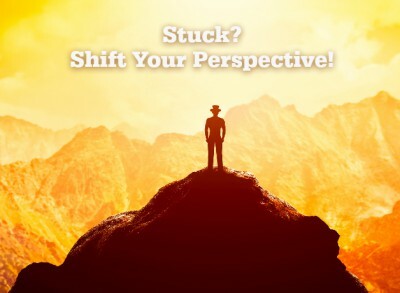 Listen below for how to shift your perspective and get unstuck.